1. Abel B., Thieblemont N., Quesniaux V.J., Brown N., Mpagi J., Miyake K., Bihl F., Ryffel B. Toll-like receptor 4 expression is required to control chronic Mycobacterium tuberculosis infection in mice // J. Immunol. — 2002. — Vol. 169. — P. 3155–3162. 2. Akira S., Takeda K. Functions of toll-like receptors: lessons from KO mice // C. R. Biol. — 2004. — Vol. 327. — P. 581–589. 3. Alexander C., Rietschel E.T. Bacterial lipopolysaccharides and innate immunity // J. Endotoxin Res. — 2001. — Vol. 7. — P. 167–202. 4. Alexopoulou L., Holt A.C., Medzhitov R., Flavell R.A. Recognition of double-stranded RNA and activation of NF-kappaB by Toll-like receptor 3 // Nature. — 2001. — Vol. 413. — P. 732–738. 5. Appleby M.W., Ramsdell F. A forward-genetic approach for analysis of the immune system // Nat. Rev. Immunol. — 2003. — Vol. 3. — P. 463–471. 6. Beckers M.C., Yoshida S., Morgan K., Skamene E., Gros P. Natural resistance to infection with Legionella pneumophila: chromosomal localization of the Lgn1 susceptibility gene // Mamm. Genome. — 1995. — Vol. 6. — P. 540–545. 7. Benfey P.N., Mitchell-Olds T. From genotype to phenotype: systems biology meets natural variation // Science. — 2008. — Vol. 320. — P. 495–497. 8. Beutler B., Hoebe K., Shamel L. Forward genetic dissection of afferent immunity: the role of TIR adapter proteins in innate and adaptive immune responses // C. R. Biol. — 2004. — Vol. 327. — P. 571–580. 9. Beutler B., Poltorak A. Sepsis and evolution of the innate immune response // Crit. Care Med. — 2001. — Vol. 29. — P. S2-S6. 10. Blackwell J.M., Barton C.H., White J.K., Roach T.I., Shaw M.A., Whitehead S.H., Mock B.A., Searle S., Williams H., Baker A.M. Genetic regulation of leishmanial and mycobacterial infections: the Lsh/Ity/Bcg gene story continues // Immunol. Lett. — 1994. — Vol. 43. — P. 99 –107. 11. Boyd Y., Goodchild M., Morroll S., Bumstead N. Mapping of the chicken and mouse genes for toll-like receptor 2 (TLR2) to an evolutionarily conserved chromosomal segment // Immunogenetics. — 2001. — Vol. 52. — P. 294–298. 12. Casanova J.L., Abel L. The human model: a genetic dissection of immunity to infection in natural conditions // Nat. Rev. Immunol. — 2004. — Vol. 4. — P. 55–66. 13. Casrouge A., Zhang S.Y., Eidenschenk C., Jouanguy E., Puel A., Yang K., Alcais A., Picard C., Mahfoufi N., Nicolas N., Lorenzo L., Plancoulaine S., Senechal B., Geissmann F., Tabeta K., Hoebe K., Du X., Miller R.L., Heron B., Mignot C., Villemeur T.B. de, Lebon P., Dulac O., Rozenberg F., Beutler B., Tardieu M., Abel L., Casanova J.L. Herpes simplex virus encephalitis in human UNC-93B deficiency // Science. — 2006. — Vol. 314. — P. 308–312. 14. Chuang T.H., Ulevitch R.J. Cloning and characterization of a sub-family of human toll-like receptors: hTLR7, hTLR8 and hTLR9 // Eur. Cytokine Netw. — 2000. — Vol. 11. — P. 372–378. 15. Coutinho A., Meo T. Genetic basis for unresponsiveness to lipopolysacharide in C57BL/10Cr mice // Immunogenetics. — 1978. — Vol. 7. — P. 17–24. 16. Curtis D.J. Modifier screens in the mouse: time to move forward with reverse genetics // Proc. Natl. Acad. Sci. USA. — 2004. — Vol. 101. — P. 7209–7210. 17. Diebold S.S., Kaisho T., Hemmi H., Akira S., Sousa R. E. Innate antiviral responses by means of TLR7-mediated recognition of single-stranded RNA // Science. — 2004. — Vol. 303. — P. 1529–1531. 18. Dietrich W.F., Damron D.M., Isberg R.R., Lander E.S., Swanson M.S. Lgn1, a gene that determines susceptibility to Legionella pneumophila, maps to mouse chromosome 13 // Genomics. — 1995. — Vol. 26. — P. 443–450. 19. Diez E., Lee S.H., Gauthier S., Yaraghi Z., Tremblay M., Vidal S., Gros P. Birc1e is the gene within the Lgn1 locus associated with resistance to Legionella pneumophila // Nat. Genet. — 2003. — Vol. 33. — P. 55–60. 20. Dyson A., Singer M. Animal models of sepsis: why does preclinical efficacy fail to translate to the clinical setting? // Crit. Care Med. — 2009. — Vol. 37. — P. S30–37. 21. Farhat K., Riekenberg S., Heine H., Debarry J., Lang R., Mages J., Buwitt-Beckmann U., Roschmann K., Jung G., Wiesmuller K.H., Ulmer A.J. Heterodimerization of TLR2 with TLR1 or TLR6 expands the ligand spectrum but does not lead to differential signaling // J. Leukoc. Biol. — 2008. — Vol. 83. — P. 692–701. 22. Forbes J.R., Gros P. Iron, manganese, cobalt transport by Nramp1 (Slc11a1) and Nramp2 (Slc11a2) expressed at the plasma membrane // Blood. — 2003. — Vol. 102. — P. 1884 –1892. 23. Fortin A., Abel L., Casanova J.L., Gros P. Host genetics of mycobacterial diseases in mice and men: forward genetic studies of BCG-osis and tuberculosis // Annu. Rev. Genomics Hum. Genet. — 2007. — Vol. 8. — P. 163–192. 24. Frehel C., Canonne-Hergaux F., Gros P., Chastellier C. de. Effect of Nramp1 on bacterial replication and on maturation of Mycobacterium avium-containing phagosomes in bone marrow-derived mouse macrophages // Cell Microbiol. — 2002. — Vol. 4. — P. 541–556. 25. Girardin S.E., Sansonetti P.J., Philpott D.J. Intracellular vs extracellular recognition of pathogens — common concepts in mammals and flies // Trends Microbiol. — 2002. — Vol. 10. — P. 193–199. 26. Govoni G., Canonne-Hergaux F., Pfeifer C.G., Marcus S.L., Mills S.D., Hackam D.J., Grinstein S., Malo D., Finlay B.B., Gros P. Functional expression of Nramp1 in vitro in the murine macrophage line RAW264.7 // Infect. Immun. — 1999. — Vol. 67. — P. 2225–2232. 27. Gruenheid S., Gros P. Forward genetic dissection of innate response to infection in inbred mouse strains: selected success stories // Clin. Exp. Immunol. — 2010. — Vol. 162. — P. 393–401. 28. Gruenheid S., Pinner E., Desjardins M., Gros P. Natural resistance to infection with intracellular pathogens: the Nramp1 protein is recruited to the membrane of the phagosome // J. Exp. Med. — 1997. — Vol. 185. — P. 717–730. 29. Hardiman G., Jenkins N.A., Copeland N.G., Gilbert D.J., Garcia D.K., Naylor S.L., Kastelein R.A., Bazan J.F. Genetic structure and chromosomal mapping of MyD88 // Genomics. — 1997. — Vol. 45. — P. 332–339. 30. Hashimoto C., Hudson K.L., Anderson K.V. The Toll gene of Drosophila, required for dorsal-ventral embryonic polarity, appears to encode a transmembrane protein // Cell. — 1988. — Vol. 52. — P. 269–279. 31. Hemmi H., Takeuchi O., Kawai T., Kaisho T., Sato S., Sanjo H., Matsumoto M., Hoshino K., Wagner H., Takeda K., Akira S. A Toll-like receptor recognizes bacterial DNA // Nature. — 2000. — Vol. 408. — P. 740–745. 32. Iversen A.C., Steinkjer B., Nilsen N., Bohnhorst J., Moen S.H., Vik R., Stephens P., Thomas D.W., Benedict C.A., Espevik T. A proviral role for CpG in cytomegalovirus infection // J. Immunol. — 2009. — Vol. 182. — P. 5672–5681. 33. Kaufmann S.H. How can immunology contribute to the control of tuberculosis? // Nat. Rev. Immunol. — 2001. — Vol. 1. — P. 20–30. 34. Kaufmann S.H. Immune response to tuberculosis: experimental animal models // Tuberculosis (Edinb). — 2003. — Vol. 83. — P. 107–111. 35. Kawai T., Akira S. The role of pattern-recognition receptors in innate immunity: update on Toll-like receptors // Nat. Immunol. — Vol. 11. — P. 373–384. 36. Kenny E.F., O’Neill L.A. Signalling adaptors used by Toll-like receptors: an update // Cytokine. — 2008. — Vol. 43. — P. 342–349. 37. Kim H.M., Park B.S., Kim J.I., Kim S.E., Lee J., Oh S.C., Enkhbayar P., Matsushima N., Lee H., Yoo O.J., Lee J.O. Crystal structure of the TLR4-MD-2 complex with bound endotoxin antagonist Eritoran // Cell — 2007. — Vol. 130. — P. 906–917. 38. 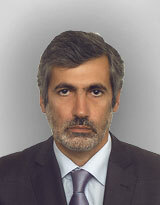 Kramnik I. Genetic dissection of host resistance to Mycobacterium tuberculosis: the sst1 locus and the Ipr1 gene // Curr. Top. Microbiol. Immunol. — 2008. — Vol. 321. — P. 123 –148. 39. Kramnik I., Dietrich W.F., Demant P., Bloom B.R. Genetic control of resistance to experimental infection with virulent Mycobacterium tuberculosis // Proc. Natl. Acad. Sci. USA. — 2000. — Vol. 97. — P. 8560–8565. 40. Lemaitre B., Nicolas E., Michaut L., Reichhart J.M., Hoffmann J.A. The dorsoventral regulatory gene cassette spatzle/Toll/cactus controls the potent antifungal response in Drosophila adults // Cell. — 1996. — Vol. 86. — P. 973 –983. 41. Ling D.I., Zwerling A.A., Steingart K.R., Pai M. Immune-based diagnostics for TB in children: what is the evidence? // Paediatr. Respir. Rev. — 2011. — Vol. 12. — P. 9 –15. 42. Losick V.P., Stephan K., Smirnova I.I., Isberg R.R., Poltorak A. A hemidominant Naip5 allele in mouse strain MOLF/Ei-derived macrophages restricts Legionella pneumophila intracellular growth // Infect. Immun. — 2009. — Vol. 77. — P. 196–204. 43. Mackenzie J.S., Gubler D.J., Petersen L.R. Emerging flaviviruses: the spread and resurgence of Japanese encephalitis, West Nile and dengue viruses // Nat. Med. — 2004. — Vol. 10. — P. S98–109. 44. Manly K.F., Cudmore R.H. Jr., Meer J.M. Map Manager QTX, cross-platform software for genetic mapping // Mamm. Genome. — 2001. — Vol. 12. — P. 930–932. 45. Mannel D.N. Advances in sepsis research derived from animal models // Int. J. Med. Microbiol. — 2007. — Vol. 297. — P. 393–400. 46. Mashimo T., Lucas M., Simon-Chazottes D., Frenkiel M.P., Montagutelli X., Ceccaldi P.E., Deubel V., Guenet J.L., Despres P. A nonsense mutation in the gene encoding 2’-5’-oligoadenylate synthetase/L1 isoform is associated with West Nile virus susceptibility in laboratory mice // Proc. Natl. Acad. Sci. USA. — 2002. — Vol. 99. — P. 11311–11316. 47. Netea M.G., Meer J.W. van der, Kullberg B.J. Sepsis — theory and therapies // N. Engl. J. Med. — 2003. — Vol. 348. — P. 1600–1602. 48. O’Brien A.D., Rosenstreich D.L., Scher I., Campbell G.H., MacDermott R.P., Formal S.B. Genetic control of susceptibility to Salmonella typhimurium in mice: role of the LPS gene // J. Immunol. — 1980. — Vol. 124. — P. 20–24. 49. Pan H., Yan B.S., Rojas M., Shebzukhov Y.V., Zhou H., Kobzik L., Higgins D.E., Daly M.J., Bloom B.R., Kramnik I. Ipr1 gene mediates innate immunity to tuberculosis // Nature. — 2005. — Vol. 434. — P. 767–772. 50. Payseur B.A., Place M. Prospects for association mapping in classical inbred mouse strains // Genetics. — 2007. — Vol. 175. — P. 1999–2008. 51. Perelygin A.A., Scherbik S.V., Zhulin I.B., Stockman B.M., Li Y., Brinton M.A. Positional cloning of the murine flavivirus resistance gene // Proc. Natl. Acad. Sci USA. — 2002. — Vol. 99. — P. 9322–9327. 52. Peters L.L., Robledo R.F., Bult C.J., Churchill G.A., Paigen B.J., Svenson K.L. The mouse as a model for human biology: a resource guide for complex trait analysis // Nat. Rev. Genet. — 2007. — Vol. 8. — P. 58–69. 53. Picard C., Puel A., Bonnet M., Ku C.L., Bustamante J., Yang K., Soudais C., Dupuis S., Feinberg J., Fieschi C., Elbim C., Hitchcock R., Lammas D., Davies G., Al-Ghonaium A., Al-Rayes H., Al-Jumaah S., Al-Hajjar S., Al-Mohsen I.Z., Frayha H.H., Rucker R., Hawn T.R., Aderem A., Tufenkeji H., Haraguchi S., Day N.K., Good R.A., Gougerot-Pocidalo M.A., Ozinsky A., Casanova J.L. Pyogenic bacterial infections in humans with IRAK-4 deficiency // Science. — 2003. — Vol. 299. — P. 2076 –2079. 54. Poltorak A., He X., Smirnova I., Liu M.Y., Huffel C.V., Du X., Birdwell D., Alejos E., Silva M., Galanos C., Freudenberg M., Ricciardi-Castagnoli P., Layton B., Beutler B. Defective LPS signaling in C3H/HeJ and C57BL/10ScCr mice: mutations in Tlr4 gene // Science. — 1998. — Vol. 282. — P. 2085–2088. 55. Poltorak A., Smirnova I., Clisch R., Beutler B. Limits of a deletion spanning Tlr4 in C57BL/10ScCr mice // J. Endotoxin Res. — 2000. — Vol. 6. — P. 51–56. 56. Poltorak A., Smirnova I., He X., Liu M.Y., Huffel C. van, McNally O., Birdwell D., Alejos E., Silva M., Du X., Thompson P., Chan E.K., Ledesma J., Roe B., Clifton S., Vogel S.N., Beutler B. Genetic and physical mapping of the Lps locus: identification of the toll-4 receptor as a candidate gene in the critical region // Science. — 1998. — Vol. 24. — P. 340–355. 57. Qureshi S.T., Lariviere L., Sebastiani G., Clermont S., Skamene E., Gros P., Malo D. A high-resolution map in the chromosomal region surrounding the Lps locus // Genomics. — 1996. — Vol. 31. — P. 283–294. 58. Ren T., Zamboni D.S., Roy C.R., Dietrich W.F., Vance R.E. Flagellin-deficient Legionella mutants evade caspase-1- and Naip5-mediated macrophage immunity // PLoS Pathog. — 2006. — Vol. 2. — P. e18. 59. Rietschel E.T., Cavaillon J.M. Richard Pfeiffer and Alexandre Besredka: creators of the concept of endotoxin and anti-endotoxin // Microbes Infect. — 2003. — Vol. 5. — P. 14 07–1414. 60. Rittirsch D., Flierl M.A., Ward P.A. Harmful molecular mechanisms in sepsis // Nat. Rev. Immunol. — 2008. — Vol. 8. — P. 776–787. 61. Russell J.A. Management of sepsis // N. Engl. J. Med. — 2006. — Vol. 355. — P. 1699–1713. 62. Sangster M.Y., Heliams D.B., MacKenzie J.S., Shellam G.R. Genetic studies of flavivirus resistance in inbred strains derived from wild mice: evidence for a new resistance allele at the flavivirus resistance locus (Flv) // J. Virol. — 1993. — Vol. 67. — P. 340–347. 63. Sangster M.Y., Urosevic N., Mansfield J.P., Mackenzie J.S., Shellam G.R. Mapping the Flv locus controlling resistance to flaviviruses on mouse chromosome 5 // J. Virol. — 1994. — Vol. 68. — P. 448–452. 64. Scharf J.M., Damron D., Frisella A., Bruno S., Beggs A.H., Kunkel L.M., Dietrich W.F. The mouse region syntenic for human spinal muscular atrophy lies within the Lgn1 critical interval and contains multiple copies of Naip exon 5 // Genomics. — 1996. — Vol. 38. — P. 4 05 – 417. 65. Skamene E. The Bcg gene story // Immunobiology. — 1994. — Vol. 191. — P. 451–460. 66. Sultzer B.M. Genetic control of leucocyte responses to endotoxin // Nature. — 1968. — Vol. 219. — P. 1253–1254. 67. Suzuki Y., Roth F.P. Systematic genetics swims forward elegantly // Mol. Syst. Biol. — 2006. — Vol. 2. — P. 4 8. 68. Turcotte K., Loredo-Osti J.C., Fortin P., Schurr E., Morgan K., Gros P. Complex genetic control of susceptibility to Mycobacterium bovis (Bacille Calmette-Guerin) infection in wild-derived Mus spretus mice // Genes. Immun. — 2006. — Vol. 7. — P. 684–687. 69. Vidal S.M., Malo D., Vogan K., Skamene E., Gros P. Natural resistance to infection with intracellular parasites: isolation of a candidate for Bcg // Cell. — 1993. — Vol. 73. — P. 469–485. 70. Vidal S.M., Pinner E., Lepage P., Gauthier S., Gros P. Natu ral resistance to intracellular infections: Nramp1 encodes a membrane phosphoglycoprotein absent in macrophages from susceptible (Nramp1 D169) mouse strains // J. Immunol. — 1996. — Vol. 157. — P. 3559–3568. 71. Warren H.S. Editorial: Mouse models to study sepsis syndrome in humans // J. Leukoc. Biol. — 2009. — Vol. 86. — P. 199–201. 72. Watson J., Kelly K., Largen M., Taylor B.A. The genetic mapping of a defective LPS response gene in C3H/HeJ mice // J. Immunol. — 1978. — Vol. 120. — P. 422–424. 73. Wright E.K., Goodart S.A., Growney J.D., Hadinoto V., Endrizzi M.G., Long E.M., Sadigh K., Abney A.L., Bernstein-Hanley I., Dietrich W.F. Naip5 affects host susceptibility to the intracellular pathogen Legionella pneumophila // Curr. Biol. — 2003. — Vol. 13. — P. 27–36. 74. Wright E.K., Goodart S.A., Growney J.D., Hadinoto V., Endrizzi M.G., Long E.M., Sadigh K., Abney A.L., Bernstein-Hanley I., Dietrich W.F. Naip5 affects host susceptibility to the intracellular pathogen Legionelia pneumophila // Curr. Biol. — 2003. — Vol. 13. — P. 27–36. 75. Xu Y., Tao X., Shen B., Horng T., Medzhitov R., Manley J.L., Tong L. Structural basis for signal transduction by the Toll/interleukin-1 receptor domains // Nature. — 2000. — Vol. 408. — P. 111–115. 76. Zhang S.Y., Jouanguy E., Ugolini S., Smahi A., Elain G., Romero P., Segal D., Sancho-Shimizu V., Lorenzo L., Puel A., Picard C., Chapgier A., Plancoulaine S., Titeux M., Cognet C., Bernuth H. von, Ku C.L., Casrouge A., Zhang X.X., Barreiro L., Leonard J., Hamilton C., Lebon P., Heron B., Vallee L., Quintana-Murci L., Hovnanian A., Rozenberg F., Vivier E., Geissmann F., Tardieu M., Abel L., Casanova J.L. TLR3 deficiency in patients with herpes simplex encephalitis // Science. — 2007. — Vol. 317. — P. 1522–1527.